Brussels/Geneva, 14 July 2017: The Secretariat of the Convention on International Trade in Endangered Species of Wild Fauna and Flora (CITES) and the European Commission announced today the significant financial contribution of 8 million Euro by the European Union (EU) to support the sustainable management of tree species through CITES, and the conservation of the African elephants. This two-component approach will contribute to the conservation and sustainable use of rare and valuable tree species in many biodiversity-rich countries around the world, and support the protection of African elephants. 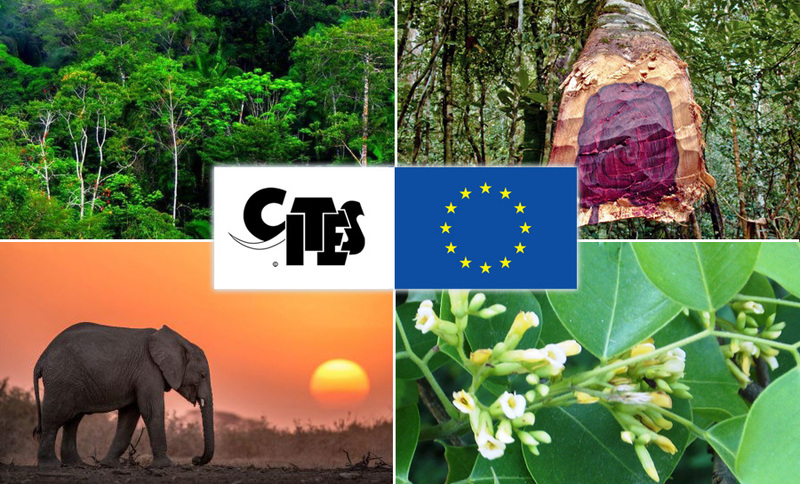 The generous EU contribution includes 7 million Euro earmarked to support the CITES tree species programme to be implemented by the CITES Secretariat, and 1 million Euro for the African Elephant Fund to be implemented by UN Environment. This new funding will provide much -needed financial support to 25 main exporting range States of CITES-listed tree species in Africa, Asia and Latin America, and 37 African elephant range States. Mr Neven Mimica, European Commissioner for International Cooperation and Development said: "Around 70% of the world's poor live in rural areas. To support themselves and their families, they depend on natural resources and wildlife. But rising populations and global trade often put an unsustainable pressure on biodiversity, threatening livelihoods and long-term growth. This new financial contribution of 8 million Euro will support some of the key biodiversity-rich countries around the world to address conservation and protection challenges." Mr Karmenu Vella, European Commissioner for Environment, Maritime Affairs and Fisheries, said: "The conservation of wildlife and timber species is a priority for the EU. Important decisions were adopted last year within the CITES Convention to strengthen the international protection for timber species and elephants. It is now time to turn these international commitments into concrete actions on the ground. With this new contribution, the EU shows its commitment to work with CITES and countries in Africa, Asia and Latin America, in order to ensure a sustainable future for the world's forests and the African elephant." “Over recent years, CITES Parties have decided to use the Convention to regulate trade in an increasing number of commercially valuable tree species. The success of CITES in supporting sustainable, legal and traceable trade in timber and other tree products saw CITES Parties agree to bring a further 300-plus tree species under CITES trade regulations at CITES CoP17 last year. Bold decisions were also taken on fighting illegal trade in elephant ivory”, said CITES Secretary-General, John Scanlon. “We are deeply grateful to the EU for its generous financial support to build the capacity of countries to implement CITES decisions on tree species and on combating illegal trade in elephant ivory. The EU’s support for CITES stretches from the conference room all the way to the front line, which is greatly appreciated and critical for our collective success”. The tree species component will support countries that export valuable parts and derivatives of CITES-listed tree species. More than 900 tree species, of which many are highly valuable, are currently listed under the CITES Appendices. The countries will be assisted in taking conservation and management measures to ensure that their trade in timber, bark, oils and other products from CITES-listed tree species is sustainable, legal and traceable. This EU-funded programme will help maximize CITES contributions to the UN Sustainable Development Goals (SDGs), notably Goal 15 as it relates to the sustainably managing forests and halting biodiversity loss. This will be achieved through improved practical and technological capacity for the development of non-detriment findings, enhanced silvicultural and ecological knowledge for the management of CITES-listed tree species, increased capacity in the identification of timber and non-timber forest products and effective information and tracking systems. CITES will work closely with the International Tropical Timber Organization (ITTO) and other partners in the implementation of the tree species component of the project. The elephant conservation part will contribute to the African Elephant Fund. This multi-donor technical trust Fund was created by CITES in 2010 to support the implementation of the African Elephant Action Plan, jointly developed and approved by the 37 range States of the African elephant. 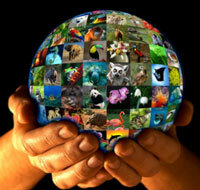 The Fund is hosted and managed by UN Environment. The support will contribute to SDG Goal 15 target 7. i.e. to take urgent action to end poaching and trafficking of protected species of flora and fauna and address both demand and supply of illegal wildlife products.